Greetings, all y’all! I hope this post finds you well and practicing like crazy! I owe all of you an apology for being invisible for so long. But there’s a good reason for it all, as I hope you will all understand. It had already almost killed me! To say the least, this was NOT good news. It got even worse about a week and a half later, when gangrene set in, requiring immediate surgery. They had to revive me three times before the surgery, and I barely made it out alive. That surgery took almost two feet of my colon, and left me with a colostomy bag on my abdomen. (Think portable bathroom, if you will.) I had to heal for three months before they could reattach my colon and I’m here to tell you, it wasn’t pretty! Finally, though, at the beginning of May, the colon was reattached. And I thought I was done. A month later, a tear developed at the incision site, and I had to go back into the hospital again, narrowly dodging another pair of operations. Now, a full eight months into the ordeal, I’m still dealing with complications and doing my best to get back to normal. The good news is that my surgeon is one of the top trauma surgeons in Northern California, and she and her nurse are doing a great job looking after me. Even better, I’m now to the point that I can go back to work somewhat. I’m nowhere near back to normal, but you could say I’m “Halfway Back,” as my song says. And, for now, I’ll take it! Obviously, this has been a serious strain, physically, mentally, emotionally and financially. I am eternally grateful for everyone who has helped me along the way, from friends who helped me through the first several months, to all who have emailed, called and written to show support. And I am especially thankful for those who helped me keep a roof over my head! As much as I hate to admit it, I’m still struggling to keep the bills paid as I work on getting back to “normal.” At the end of this post are some ways that you can help, if you’re so inclined. Thank You doesn’t say enough, but I hope you know how much your support means, and how much I appreciate it. So… what’s next? For starters, I’m focusing on the recent release of my new CD, The View From Here. The album is available for digital download on CD Baby and iTunes, as well as many other digital outlets. I just received a batch of promo CDs to send to radio stations and other media, and we’re working through our list. We’ve also begun planning for tour opportunities, and I’m hopeful that I’ll be able to announce some great news soon. Another thing I’m working on is a book and CD about the whole ordeal. I’m calling the project Crawling Through Fire, and I’m very excited to have discovered a very silver lining in this black cloud. I’ve written almost 100 pages of the book draft so far, and have also penned a half dozen songs. I won’t be talking about too much in the near future, as I want to focus on The View From Here. But there’s a VERY good chance this will be my next release, so keep an eye out for updates. As for BLHQ, I’m back at work here, and preparing to videotape some new lessons. If your a fan on Facebook, you may have noticed that I’ve begun regular updates again. If you’re not a fan, please go LIKE the page now, so you can get all content. Once I get back into the rhythm of things, I’m going to clean up and reorganize the BLHQ site so that it’s easier for you to use. If you have any suggestions about any of this, please feel free to email me. I’d love to know how you think I could do a better job, OK? Again, thank you all for your care and concern, and for your unflagging support. Knowing there are so many people rooting for me – and praying for me – means the world to me. And it has helped me stay positive throughout the toughest ordeal I have ever faced. Now… let’s go play some bass! 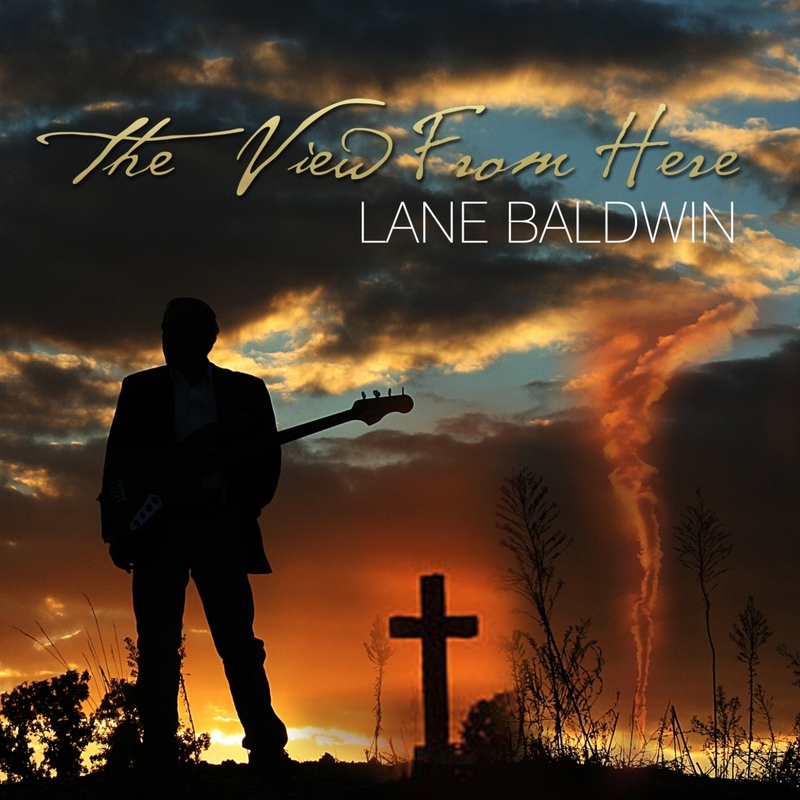 Order The View From Here – As mentioned above, the new album is available for digital download on CD Baby, iTunes and other outlets. Allow me to point out that CD Baby offers the highest payout, so if it’s all the same to you, that’s the best place to buy it. Also, anyone who orders through CD Baby will have the opportunity to get one of the promo CDs for just $5.00 (US shipping included). Donate to the Go Fund Me Campaign – A close friend was kind enough to set this campaign up to help me cover expenses as I get back on my feet. All donations of $10 or more will receive a FREE copy of the album as my way of saying thanks. Spread the Word – Let others know about the new CD, the Go Fund Me campaign, and/or this web site and its associated Fan Page on Facebook. The more people who know, the better. Post on your social pages, send an email to friends, or send a carrier pigeon or two. No matter how you do it, I know it will help!